Breaking News... 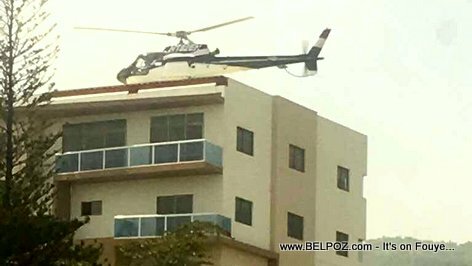 The family of former Haitian President Michel Martelly left Haiti by helicopter Sunday afternoon and landed in Barahona, Dominican Republic, following violent protest in the country. 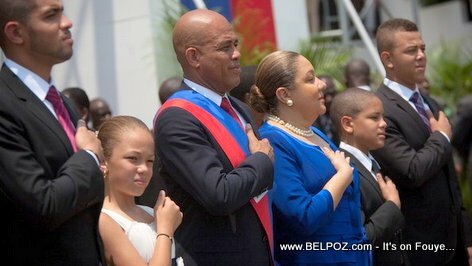 According to Dominican newspaper Listin Diario, Ex president Martelly landed in Maria Montez International Airport in this province of Barahona, accompanied by his wife Sofia and his children Michel-Yani, Bianka J. Christy, Michael Alexander, Michael Olivier, Olivia Michael, Kahlil Michel-Olivier et Michael Martelly Melaika. There are no details as to by the former president took such an emergency exit. It was reported that the Dominican airport authorities, civil and military security, as well as the Customs Directorate were put on high alert, as the arrival of other important Haitian families, as well as members of the government cabinet of President Jovenel Moise were expected. Michel Martelly, is he, a statesman; the Haitian voters should take not of this. My brothers and sisters Pray, pray, pray. God is able to bring order out of disorder. Pray for President Moise, pray for the nation and the people of Haiti.